Commercial Pest Control Company Specialized Pest Patrol has over two decades of experience performing Commercial Pest Control Services for the businesses of Sacramento, California. We love to do a superb job that’s cost-effective no matter the size of your business. Call 916-987-9559 (Pest Control Folsom) and 916-224-7430 (Pest Control Sacramento) and get your first service free! 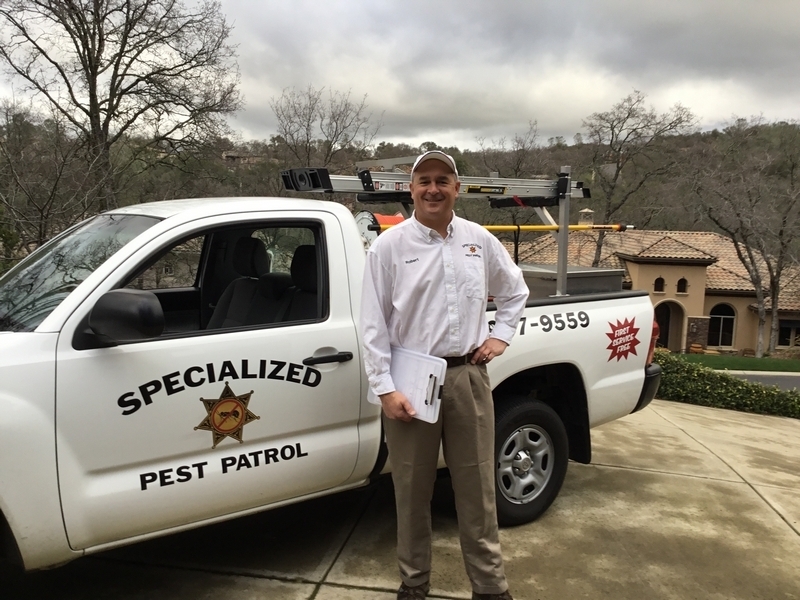 Specialized Pest Patrol provides the best pest control in Sacramento County, El Dorado County and Placer County. The most popular cities we provide our effective pest control services in are Folsom, Roseville (view our Roseville pest control services here: Pest Control Roseville CA), Elk Grove (view our Elk Grove pest control services here: Pest Control Elk Grove CA) and Sacramento (view our Sacramento pest control services here: Pest Control Sacramento). Call Sacramento Commercial Pest Control Company Specialized Pest Patroll immediately at 916-987-9559 (Pest Control Folsom) and 916-224-7430 (Pest Control Sacramento) to get your first service free. We are so confident that you will be happy with our Sacramento commercial pest control, the first service visit is FREE! We pride ourselves in knowing that we offer the best commercial pest control in Sacramento, so we offer the first service free as a testament to our great service. Commercial Pest Control Company Specialized Pest Patrol are pleased to offer our services successfully in Sacramento, CA for over 20 years. We have experienced pest control technicians who have a wealth of knowledge and experience who serves our business customers with great reviews on Google, Yelp, Folsom Living and other websites. We have certified expertise in commercial pest control of various types making all our customers in Sacramento happy. Our top commercial pest control services in Sacramento include ant control, rodent removal, wildlife control and spider pest control. In addition we perform effective wasp control, tick control and various other pest control services. Commercial Pest Control Sacramento Company Specialized Pest Patrol has built our business around excellent customer service and providing effective and affordable solutions for commercial pest control and pest problems. View a few of our many great commercial pest control service reviews taken from our highly rated Yelp page. Commercial Pest Control Sacramento Company Specialized Pest Patrol Reviews, View our Yelp Page! Pest Control Company Specialized Pest Patrol is a top commercial pest control company in both customer satisfaction and price in Sacramento! View one of our many great pest control reviews taken from our highly rated Yelp page. All our technicians here at Sacramento Commercial Pest Control Company Specialized Pest Patrol are certified and have passed background and drug checks to ensure not only a great job in performing pest control but also providing you added safety. The best commercial pest control services require constant learning of effective methods with implementation, and we adhere to that making us the best commercial pest control company in Sacramento, California. Our commercial pest control methods in Sacramento, CA are the best in the industry with optimal results for our customers. Contact us at 916-987-9559 (Pest Control Folsom) and 916-224-7430 (Pest Control Sacramento) to see how we can help you with your commercial pest control needs in Sacramento, California. Pest Control Company Specialized Pest Patrol provides the best in Commercial Pest Control Services in Sacramento! Our commercial pest control methods safely and effectively remove pest infestations which can cause discomfort and injury like shown in the video below. Commercial Pest Control Company Specialized Pest Patrol are pleased to offer our services successfully to the Sacramento County areas (Sacramento, Citrus Heights, Elk Grove, Folsom, Galt, Isleton, Rancho Cordova) successfully since 1994. We regularly travel to the various Sacramento areas below to help you with your pests and animal control (animal trapping) needs. For pest control removal and pest services in all areas of Sacramento, CA, contact on of the best Sacramento Pest Control Companies around, Specialized Pest Patrol, at 916-987-9559 (Pest Control Folsom) and 916-224-7430 (Pest Control Sacramento) . We will be happy to have a Pest control technician come out to your local Sacramento neighborhood. Pest Control Company Specialized Pest Patrol performs a variety of commercial pest control services for several different industries in Sacramento. Your satisfaction is guaranteed! Learn how we serve many different business types in Sacramento below. Pest Control Company Specialized Pest Patrol performs commercial pest control near you in Sacramento effectively and cost-effectively like those shown in video below. Your Sacramento office building is a busy place. You have multiple employees, working diligently every day to meet deadlines, work with clients, respond to phone calls and attend meetings. Your company runs like a well-oiled machine. Any disruption in your day, including pests, could result in lost revenue and profits. And, on top of this loss, a pest infestation creates less than desirable working conditions for your employees. We here at Sacramento Commercial Pest Control Company Specialized Pest Patrol, we can help to get rid of your office building pest problem, getting you back up and running at full effectiveness in no time. Commercial Pest Control Sacramento Company Specialized Pest Patrol removes pests of all types from businesses such as Cockroaches, effectively and cost-effectively like those shown in video below. Commercial Rodent control for office buildings: Rodents can enter your office building in various ways. They have the ability to run and jump great lengths, squeeze into extremely small spaces and climb just about any surface. And once in your office building, they can wreak havoc. Rodents love to chew on just about everything. They will destroy cardboard boxes, shred important documents and damage essential equipment by chewing through wires. In doing so, orders, contracts or other legal documents may be lost. Computers and other equipment may be shut down. All of these issues can slow business, or even bring it to a grinding halt. Commercial Spider control for office buildings: While some spiders prefer dark, damp basements, others prefer dry, warm environments, such as vents. While some spiders are harmless, some can be dangerous if they bite, such as the black widow spider or the brown recluse. No matter what type of spider found in your office building, you will most likely have many employees, and clients, who are less than thrilled to see them there. For the safety of all people in your office building, taking care of a spider issue is important. Commercial Ant control for office buildings: If your office is like most others, you have a breakroom, where employees store and eat their lunches. On occasion, someone might bring in bagels or donuts for everyone to enjoy. And if it’s someone’s birthday, cookies or cake may be involved. Often times, food gets left out, uncovered, overnight in the breakroom, or crumbs on the floor are not cleaned up. Ant infestations often collect in your office building because this food was discovered. Any crumbs on the floor, or food left out in the open acts like a beacon, calling them in. While taking measures to clean up the crumbs, wrap food and properly store it, and wiping down all countertops and tables can help to alleviate your ant problem, it often isn’t enough. Effectively getting rid of your ant infestation after it manifests takes help from an experienced Sacramento pest control management company. Commercial Pest control treatment inside and outside office buildings: Pest Control Sacramento Company Specialized Pest Patrol takes care of your Sacramento office building pest control issue from the inside as well as the outside. We inspect the entire property, inside and out, for entry points, identify the problem and take note of any preventative conditions that would otherwise contribute to the issue. Our safe and effective pest control methods ensure that the pests are gone and don’t come back. We can also treat around your office building to prevent a future issue from occurring, helping to keep your employees and your clients safe. Private schools and day care facilities are designed to be safe places for children to go so that they can learn. Children, especially young ones, may spend a significant portion of their day on the floor. You take the time to make sure that your Sacramento school or day care is clean. Despite your best efforts, you may still encounter a pest issue. And pests in your school or day care is not only disruptive, it can also put you, your staff, and the children who attend your facility at risk for being exposed to harmful bacteria. Pest control issues spread rapidly, and can jump from classroom to classroom like wildfire. For these reasons, seeking the help of a professional pest control company is essential. Pest Control Sacramento Company Specialized Pest Patrol is here to take care of all of your Sacramento pest control issues in your private school or day care facility. Pest Control Company Specialized Pest Patrol removes pests and rodents from businesses like those shown in video below. Pest control treatment inside and outside office buildings. Pest Control Sacramento Company Specialized Pest Patrol takes care of your Sacramento office building pest control issue from the inside as well as the outside. We inspect the entire property, inside and out, for entry points, identify the problem and take note of any preventative conditions that would otherwise contribute to the issue. Our safe and effective pest control methods ensure that the pests are gone and don’t come back. We can also treat around your office building to prevent a future issue from occurring, helping to keep your employees and your clients safe. Commercial Roach control for Private Schools and Day Care Facilities: Cockroaches are one of the most common pests there is. They are also a huge health hazard to you and the children in your Sacramento school or day care facility, as they are known to carry a number of diseases. However, roaches are nocturnal, and will scurry off at the first beam of light. You will most likely notice signs of their presence before you notice the roaches themselves. Noticing things such as discarded skins, smears, damage to books or toys, or a distinct odor, it’s time to call Pest Control Sacramento Company Specialized Pest Patrol. Commercial Flea control for Private Schools and Day Care Facilities: Fleas are often associated with cats and dogs, so how might they find their way into your Sacramento school or day care center? It’s actually quite easy. If a child walks through an area containing fleas, such as the grass on the playground, some may attach themselves to that child’s clothing. They can then jump off once inside. Though fleas are thought to be an issue with pets only, if there is no preferred food source around, they can resort to feasting on the next best thing: the children in your classrooms. Commercial Spider control for Private Schools and Day Care Facilities: Seeing a spider can be a scary event for a child, regardless of whether it is harmless or not. And spiders like to inhabit dark areas, so they may seemingly appear out of nowhere. While some spiders may be harmless, species like the black widow and the brown recluse are not. Any spider infestation should be dealt with. Commercial Rodent control for Private Schools and Day Care Facilities: Rodents are nimble creatures, and squeeze themselves into extremely small spaces. Once inside your Sacramento school or day care facility, they will get to work quickly destroying everything within. They can tear through papers, school books, soft toys and electronic equipment. Not only do they cause mass amounts of destruction, rodents are also well known for carrying diseases, which can do significant harm to teachers and students alike. Commercial Ant control for Private Schools and Day Care Facilities: Ants are attracted to food. Any crumbs spilled by young children, or hastily wrapped food left on a desk or in a cubby can quickly become a prime target. And once the ants are in, getting rid of them can be difficult, even if you take steps to clean up crumbs and properly store food. The professional Sacramento pest control services offered by Pest Control Sacramento Company Specialized Pest Patrol will ensure that your ant problem is dealt with quickly and effectively. You have worked hard to make your restaurant what it is today. You strive to provide high quality food and excellent service. After all, with the number of restaurants in Sacramento, you have to do everything you can to set yourself out against the competition. But if you have a run in with pests, you will quickly find yourself with several serious problems on your hands. First, you could be in hot water with your health inspector. If a health inspector finds evidence of any type of pest within your restaurant, even if you take measures to keep your restaurant clean and haven’t seen any evidence yourself, you could be facing some serious fines. Your health grade will be affected, and you may be shut down until the issue is resolved. On top of all of this, word of mouth spreads fast. Should your customers get wind of a pest control issue, they will not be likely to return. And, they will be sure to tell everyone they know. You may quickly find yourself out of business. Pest Control Sacramento Company Specialized Pest Patrol will work with you to get rid of your Sacramento pest control problem, and help you to preserve the reputation of your restaurant that you have worked so hard to achieve. Commercial Pest Control Sacramento Company Specialized Pest Patrol is a top rodent control company! We remove rodents of all types such as rats and mice effectively and cost-effectively like those shown in video below. Commercial Rodent control for Restaurants: Rodents are a menace to restaurants. They love to chew, and will destroy everything from fresh food to table linens. And, they are known to carry disease. Pest Control Sacramento Company Specialized Pest Patrol will take care of your rodent issue with strategic bait placement and integrated pest management techniques, safely getting rid of your Sacramento pest control issue and protecting your restaurant. Commercial Roach control for Restaurants: Cockroaches prefer dark environments, and striking at night, after everyone else has gone home, making them difficult to spot right away. They can quickly contaminate all of your clean work surfaces, and spread disease. Don’t let roaches drive away your well-earned patrons. Pest Control Sacramento Company Specialized Pest Patrol will utilize top of the line pest control techniques to eradicate your Sacramento restaurant roach issue and prevent them from returning. Commercial Fly control for Restaurants: Flies buzzing around food is bad enough, but when they make their way out into the dining room to irritate customers and ruin their dining experience, you may soon find that dining room empty. Don’t let flies give your customers the false impression that your restaurant is unclean. Pest Control Sacramento Company Specialized Pest Patrol will take appropriate measures to clean up debris that attracts flies, and get rid of your fly problem once and for all. Commercial Spider control for Restaurants: Finding spiders, whether it’s by a cook or a customer, is never a pleasant experience. While poisonous spiders, including the black widow and the brown recluse, are always unwanted, even harmless spiders are cause for concern. Pest Control Sacramento Company Specialized Pest Patrol will work to safely and effectively get rid of your spider infestation and prevent them from coming back. Commercial Ant control for Restaurants: It’s a well-known fact, ants love food. And your restaurant is filled with it. Poor cleaning or food that is not stored properly will attract ants in. Once inside, getting them out can be close to impossible, even if you clean the floors, counters and put food away properly. Sacramento Commercial Pest Control Company Specialized Pest Patrol will help your Sacramento restaurant take care of your pest control issue and provide you with ways to prevent it from happening again. When guests come to stay at your Sacramento hotel, you want them to be comfortable. You want to provide them with all of the comforts of being home, even though they may be thousands of miles from their actual home. But there are some guests you just don’t want. A pest control problem in your hotel has serious implications. If one of your guests comes across a pest in their room, there’s a good chance that they will leave. And not only will they leave, they are likely to leave a scathing review online. It only takes one bad review to drag your reputation as a quality hotel through the mud. You may be temporarily closed, which can end up costing you thousands. Even after you reopen, your reputation may never be the same. Pest Control Sacramento Company Specialized Pest Patrol can help to take care of your hotel pest control issue, leaving you to tend to the needs of your satisfied guests. Commercial Pest Control Sacramento Company Specialized Pest Patrol is a top ant control company! Our ant control methods safely and effectively remove ant infestations from businesses as shown in the video below. Commercial Bed bug treatment for Hotels and Hospitality Businesses: Bed bugs are one of the most difficult pests to spot and get rid of, but once discovered, they can quickly destroy your reputation. The most common sign of bed bugs are bites all over the body. Bed bugs inhabit more than beds, though. They can reside in furniture, under fixtures and even in electrical sockets. Pest Control Sacramento Company Specialized Pest Patrol will thoroughly inspect your property and get rid of your bed bug issue. We use safe pest control techniques, including the use of insect growth regulators, to effectively get rid of your bed bug problem, allowing your guests to sleep tight. Commercial Ant control for Hotels and Hospitality Businesses: Spotting ants in their rooms can send the wrong impression to your guests, that your Sacramento hotel is dirty. Some species of ants are difficult to get rid of and can disrupt your electrical work. Other species can inflict painful bites and stings, which can be fatal to young children or seniors. Pest Control Sacramento Company Specialized Pest Patrol will treat both inside your hotel as well as around your property to get rid of even the most stubborn ant species and keep them from checking back in. Commercial Rodent control for Hotels and Hospitality Businesses: Rodents can be a big problem. They are destructive, chewing furniture, wires, and the property of your guests. Not only that, but they can also transmit diseases. Rodents are good at hiding, and can squeeze into extremely small spaces, making their homes within your hotel difficult to locate. Pest Control Sacramento Company Specialized Pest Patrol will take care of this for you. We have the expertise to find out where they are hiding, how to get rid of them, and how to prevent them from coming back. Commercial Roach control for Hotels and Hospitality Businesses: There are thousands of species of roaches, and even though a small percentage of them are likely to invade your hotel, any roaches are a huge problem. Not only can roaches drive your guests away, many carry diseases. For these reasons, seeking professional Sacramento pest control help from the specialists at Pest Control Sacramento Company Specialized Pest Patrol is imperative. Commercial Spider control for Hotels and Hospitality Businesses: There are very few people who don’t panic upon seeing a spider. Just seeing a picture of multiple spiders is enough to send shivers down a person’s spine. Even harmless spiders can present a problem, driving your guests away, and should be dealt with right away. Pest Control Sacramento Company Specialized Pest Patrol will take care of your spider infestation, making your rooms safe spaces for all of your guests. Commercial Removal of bugs from kitchens from for Hotels and Hospitality Businesses: Bugs in any kitchen are a big problem. Not only can they spread disease, but they can be transported from the kitchen to the dining room or guest rooms. Should a health inspector discover bugs, your entire operation could be shut down. Pest Control Sacramento Company Specialized Pest Patrol can quickly and effectively eradicate any bugs that might be invading your kitchen, including roaches, ants and flies. Medical facilities are filled with individuals who have compromised immune systems. Your Sacramento medical facility is supposed to be a safe environment conducive to helping them get better. You do everything you can to provide your patients with the best care possible, including keeping your facility clean. However, medical facilities are bustling, which means they are highly susceptible to pest infestations. Pests can cause problems as the result of deliveries, the constant flow of visitors and patients through the entrance, or structural defects in your building. And pests within your facility can lead to serious issues – contamination of sterile areas, damage to your reputation, loss of revenue and even lawsuits. Sacramento Commercial Pest Control Company Specialized Pest Patrol will get rid of your Sacramento pest control problem, allowing you to stay focused on your patients. Commercial Pest Control Sacramento Company Specialized Pest Patrol is a top yellow jacket control and wasp company! Our yellow jacket and wasp control methods safely and effectively remove yellow jacket and wasp infestations from businesses as shown in the video below. Commercial Spider control for Medical Facilities: Spiders are frightening enough to see. Many patients cannot defend themselves from these creepy crawlers. And if they are poisonous, your patients are at risk for receiving dangerous bites. Spiders should be handled by a professional. Pest Control Sacramento Company Specialized Pest Patrol are your Sacramento pest control specialists, and will work to get rid of your spider infestation in a safe and effective manner. Commercial Rodent control for Medical Facilities: Rodents are nimble creatures, able to run and jump long distances, climb just about any surface and squeeze into unbelievably small spaces. They also carry disease, which is especially dangerous for patients within your medical facility. Pest Control Sacramento Company Specialized Pest Patrol are experts at finding where rodents are hiding, identifying potential access points, getting rid of your rodent infestation and preventing them from coming back. Commercial Ant control for Medical Facilities: Ants are attracted to food. Even if you keep your hospital kitchens and dining areas clean, a few crumbs on the floor, or food that is improperly stored calls out to them like a beacon. Once inside, they are hard to get rid of. Certain species are more difficult than others, and can destroy the essential electrical work needed to keep your medical facility running smoothly. And some species inflict painful bites, which may lead to anaphylaxis. Types of pest control for Medical Facilities: Medical facilities house multiple patients with weakened immune systems. For this reason, Pest Control Sacramento Company Specialized Pest Patrol implements safe and effective pest control methods, such as integrated pest management and insect growth regulators. These methods don’t pose any risk to your patients, and they get rid of them for good. We will also work with you to ensure that they don’t find their way back in. Commercial Pest Control Sacramento Company Specialized Pest Patrol is a top spider pest control company! Our spider pest control methods safely and effectively remove spider infestations from businesses as shown in the video below. Food processing facilities produce mass quantities of food and beverages on a daily basis. These facilities work at high speed to produce all kinds of delicious foods. A clean, sanitary environment is essential for producing foods that are safe for consumption. You strive to keep your customers satisfied. A pest control issue in your Sacramento food processing facility can be detrimental to your business. Thanks to the internet – social media, access to health inspections, studies about food quality and safety – the entire world has access to information about your facility. A single issue noted by one customer, or one bad health inspection, and everyone who buys your products will know. A pest infestation can lead to damaged goods and materials, product recalls, disruption in production, and a significant loss of revenue. Pest Control Sacramento Company Specialized Pest Patrol can help quickly take care of your Sacramento pest control problem so that your food processing facility continues to run smoothly and safely. Commercial Rodent control for Food Processing Facilities: Rodents are destructive creatures. They will chew through packing materials, boxes, and even electrical wiring, which can short-circuit your machinery. Not only that, but they can carry disease and leave excrement in foods that are to be shipped out, which can spread harmful bacteria to hundreds, if not thousands, of people. Pest Control Sacramento Company Specialized Pest Patrol will quickly find your rodent problem, get rid of it and help you to prevent it from coming back. Commercial Roach control for Food Processing Facilities: Roaches are another pest that carry and transmit disease. Having them anywhere, especially near food, can pose a significant health risk possibly countrywide. And roaches can be hard to detect, at least at first, as they work in the dark, under the cover of night. 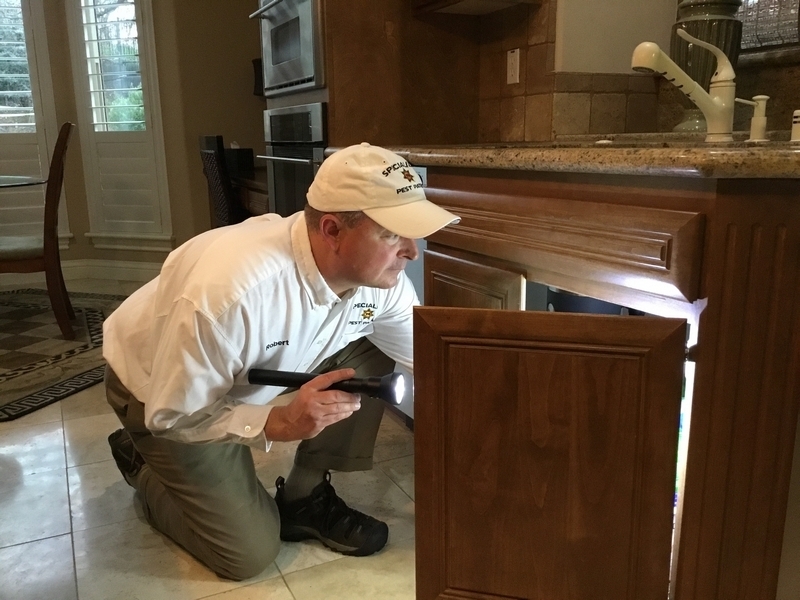 If you notice any signs of roaches, even without seeing one first, it is essential that you call your Sacramento pest control specialists at Pest Control Sacramento Company Specialized Pest Patrol. Commercial Fly control for Food Processing Facilities: Flies thrive in an environment that has a warm, moist atmosphere with plenty of food. Your Sacramento food processing facility most likely has these conditions. And flies in a food processing plant can quickly become a major public health concern, spreading pathogens and increasing the risk of foodborne illnesses. Pest Control Sacramento Company Specialized Pest Patrol will implement safe fly control methods, including integrated pest management, to help quickly eliminate your fly issues and help you to take steps to prevent them from coming back. Commercial Spider control for Food Processing Facilities: Spiders of any kind, whether they are poisonous or not, can pose a significant problem in your Sacramento food processing facility. Even if they are harmless, they pose. Commercial Ant control for Food Processing Facilities: Ants love food. As a food processing facility, you are a prime ant target. And while ants are a health hazard, they can also cause several other issues in your Sacramento food processing facility. Certain types of ants can destroy electrical wiring, causing mechanical issues that slow down, or even shut down, your facility. And some species can inflict painful stings, harming your employees. Once inside, ants can be difficult to get rid of. Commercial Pest Control Sacramento Company Specialized Pest Patrol has the experience and expertise to get rid of your ant problem and treat both the inside of your facility as around the perimeter to prevent them from returning. Every day, your Sacramento grocery store sees hundreds of customers. These customers come to you because your store is clean, stocks quality products and your employees provide excellent customer service. Whether they need to stock up for the week, or they are running in for a few items in between regular shopping trips, they come to you because you have a reputation for excellence. So, learning you have pest infestation can be devastating. Pests can damage goods, as well contaminate meat counters, dairy cases, and freshly baked goods. And contamination from pests can lead to severe health issues. Should customers discover a pest infestation, it will quickly result in dissatisfaction, bad press and loss of not just customers, but revenue as well. You may even be faced with fines due to health and safety concerns, as well as potential lawsuits. Should you notice signs of a pest issue, call Pest Control Sacramento Company Specialized Pest Patrol right away. We will get rid of your Sacramento pest control issue, so you can continue to provide your customers with quality foods and products. Commercial Rodent control for Grocery Stores: Rodents are destructive creatures. They wreak havoc on boxes and produce and can even chew through wiring, which is essential for a functioning grocery store. Not only that, but rodents can carry disease, which can be transmitted onto food and products purchased by customers and make them sick. Pest Control Sacramento Company Specialized Pest Patrol will locate where rodents are hiding, get rid of them and help you take steps to prevent them from reentering the premises. Commercial Roach control for Grocery Stores: Roaches can be another common grocery store problem. And these insects are difficult to notice, as they like to work under the cover of darkness, after everyone has gone home. They run across food preparation counters and foods, potentially contaminating them with the diseases that they carry. Roaches are a significant health hazard that needs to be dealt with immediately, and Pest Control Sacramento Company Specialized Pest Patrol will take care of the issue safely and effectively. Commercial Fly control for Grocery Stores: Flies are attracted to a warm environment that has plenty of food. Fruit flies and drain flies in particular are a huge problem for grocery stores. Not only are they annoying, they can transmit illnesses to your customers. With safe pest control techniques, including integrated pest management, Pest Control Sacramento Company Specialized Pest Patrol will help your Sacramento grocery store to get rid of your flies and keep them away for good. Commercial Spider control for Grocery Stores: Grocery stores get produce from all over the world. On some occasions, crates may come in that contain dangerous spiders that can harm your employees or your customers if they inflict a bite. Don’t attempt to wrangle spiders by yourself. Professional Sacramento pest control is your best bet at getting rid of your spider problem. We have the equipment to handle spiders and keep your employees and your customers safe. Commercial Ant control for Grocery Stores: Your grocery store is filled to the brim with food. Food, especially when left out, or not cleaned up properly, can quickly bring unwanted ants marching through your doors. Once there, they get the rest of their colony and soon you have hundreds, if not thousands, of ants crawling around your store. Some ants are more difficult to get rid of than others. Some are dangerous, and can sting your employees and customers if they walk through a group of them. These stings can be fatal to young children and older adults. Pest Control Sacramento Company Specialized Pest Patrol will help you to clean up your store and safely rid it of the ant problem. We can also treat around the exterior of your store to form a protective barrier that keeps ants from coming back. Pest Control Company Specialized Pest Patrol removes pests from your business in your area of Sacramento effectively and cost-effectively like those shown in video below. We at Pest Control Sacramento Company Specialized Pest Patrol perform thorough commercial pest control inspections to identify the where pests are coming from into your business so we can eliminate the problem effectively. A thorough commercial pest control inspection inside and outside of your property is important in identifying the source of their entry. Identification of pests is very important for treatment, as finding that out can change our approach to effectively and quickly remove pests from your business. We here at Commercial Pest Control Company Specialized Pest Patrol perform pest control in the zip codes below that represent areas in Sacramento, California. Commercial Pest Control Company Specialized Pest Patrol is the one to call for all pest control needs in Sacramento. With in-depth knowledge and over 20 years of successful service in commercial pest control, we have trained and certified technicians that always deliver. After accessing your situation, we will tell you the steps we will take to get rid of the pests on your property. It is a piece of cake for our professional Sacramento commercial pest control experts. Below are the reasons why it is best to hire Commercial Pest Control Sacramento Company Specialized Pest Patrol rather than other commercial pest control companies. Effective Commercial Pest Control Inspections: We perform thorough inspections to identify the where pests are coming from so we can eliminate the problem effectively. A thorough inspection inside and outside of your business is important in identifying the source of their entry. Identification of the pest is very important for treatment, as finding that out can change our approach to effectively remove pests and rodents. Effective Commercial Pest Control Methods: We treat the interior and exterior of your business to eliminate the pests, rodents and wildlife that have invaded your space. Healthy Commercial Pest Control Products: At Pest Control Sacramento Company Specialized Pest Patrol we use the highest quality hospital grade chemicals which are safe and not harmful to you or your customers. Fully Licensed and Insured Commercial Pest Control Experts: Pest Control Sacramento Company Specialized Pest Patrol technicians are fully licensed and insured and all of our field technicians have a minimum of 5 years commercial pest control field experience. Great Reviews on Yelp and other Websites Regarding our Commercial Pest Control: Pest Control Sacramento Company Specialized Pest Patrol has great reviews on various websites such as Yelp, Folsom Living and many other websites. Commercial Pest Control with Satisfaction Guaranteed: At Pest Control Sacramento Company Specialized Pest Patrol we take pest control seriously! If you see pests inside your business while you are a Specialized Pest Patrol customer, we’ll return to treat your home at no additional charge guaranteed! Commercial Pest Control Expert Knowledge: Pest Control Sacramento Company Specialized Pest Patrol pest exterminators have expert knowledge when it comes to pests and their removal from businesses. We provide the best commercial pest control in Sacramento and know all about the instincts and behaviors pests we encounter and use the most effective ways to get rid of them, fast! Keeping pests away from your business is essential for not only the success of your Sacramento business, but the health and safety of your employees and your customers. For all of your Sacramento commercial pest control needs, from prevention to extermination, call the experts at Commercial Pest Control Sacramento Company Specialized Pest Patrol today 916-987-9559 (Pest Control Folsom) and 916-224-7430 (Pest Control Sacramento) ! See what our happy commercial pest control customers have to say about our services in the Sacramento area. Pest Control Company Specialized Pest Patrol has over 20 years experience in solving commercial pest infestation problems. We’re family owned and locally operated in Sacramento county, El Dorado county and Placer county. All of our commercial pest control exterminators are certified, state-licensed technicians who are also fully insured and ready to eliminate your ant problems. Our commercial pest treatment methods are the best in the business and the most cost-effective. Pest Control Company Specialized Pest Patrol knows how to get rid of pests and keep them from coming back to your business. Call Commercial Pest Control Company Specialized Pest Patrol immediately at 916-987-9559 (Pest Control Folsom) and 916-224-7430 (Pest Control Sacramento) if you see pests, rodents or wildlife in or on your business. We provide Commercial Pest Control in Sacramento County which includes the areas Citrus Heights, Elk Grove, Folsom, Galt and Rancho Cordova . We provide Commercial Pest Control in Placer County which includes the areas Auburn, Colfax, Lincoln, Rocklin and Roseville . We provide Commercial Pest Control in El Dorado County which includes the areas El Dorado, Placerville and El Dorado Hills . Whether it’s Spider Pest Control, Wasp Control, Ant Control or any other commercial pest control, rodent control or wildlife trapping service, Sacramento Commercial Pest Control Company Specialized Pest Patrol has the experience, effectiveness and cost-effectiveness necessary to perform those services and remove your pest problems.